On March 21, 1996, Daniel Green was convicted of first degree felony murder in the 1993 armed robbery and death of James Jordan. He was sentenced to life in prison plus ten years. Daniel has always maintained that he was not involved in the robbery or death of James Jordan. 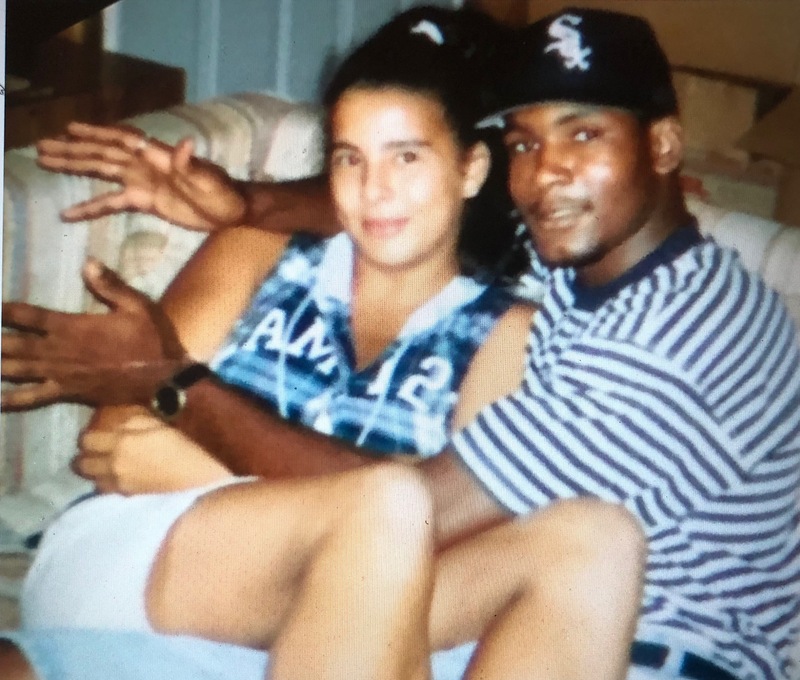 According to Daniel, the night of July 22, 1993 started with family and friends at a cookout which was also attended by his longtime close friend, Larry Demery. At approximately 1:30 a.m., July 23, 1993, Larry asked Daniel to come with him to make a delivery in New York. Daniel declined as he was interested in a girl who was still at the house. According to Daniel and others, Demery left alone, but returned acting upset and nervous a few hours later. He told Daniel that he needed his help. The two left the house at approximately 4:30 a.m., and it wasn’t until they were in the car that Demery explained that he needed help moving an unidentified body. Demery claimed he had gone to meet a drug delivery at a hotel and the man he met there sexually propositioned him. This led to a confrontation that resulted in a shooting. On July 22, 1993, James Jordan attended the funeral of a friend in Wilmington, NC. After paying his respects and then spending time with friends in the area, Mr. Jordan left at about 12:30 AM on July 23 to make the 200-mile drive to Charlotte. On August 3, 1993 a body was discovered by a local fisherman in a remote swamp in South Carolina, just over the border from North Carolina. It was estimated the body had been in the water for at least a week. There was no immediate connection made between the discovery of the body and Mr. Jordan. Despite his family not hearing from him after July 22, a missing persons report had never been issued for Jordan. On August 7, due to lack of storage space, the Marlboro County Coroner in South Carolina cremated the unidentified body, but preserved the jaw and hands for identification purposes. Two days before the body was cremated, on August 5, 1993, the Cumberland County Sheriff’s Department, in North Carolina, was notified that an abandoned and stripped Lexus was found in a wooded area. The VIN number of the vehicle was used to trace the car back to James Jordan. On August 13, 1993, the teeth from the unidentified man were matched to James Jordan’s dental records. Phone calls made from the Lexus’ car phone between July 23rd and July 26th led authorities to two 18-year-olds: Larry Demery and Daniel Green. Both were interrogated and were arrested for murder on August 15, 1993. Daniel Green and Larry Demery met in third grade. Daniel moved to North Carolina from Philadelphia and his new elementary school had recently fully integrated both the African American and American Indian communities in Robeson County. Larry Demery, who was American Indian, was the first person to befriend Daniel at a new school with a relatively small African American population. They quickly became close friends. Daniel has said of Larry, “When you got a person who won’t pick on you, when he is patient and not suggest words for you. . . he was a friend all the time.” He credits Larry with helping him get beyond stuttering and giving a tremendous boost to his self-esteem. Larry and Daniel maintained a close friendship throughout their childhood and teen years. Their families went to church together and they spent time at each other’s homes. In 1990, Daniel was visiting a friend at the friend’s house. While there, a group of teens arrived and 15-year-old Daniel was physically confronted by a 17-year-old with a knife. While retreating, Daniel grabbed and swung an axe in self-defense to ward off the aggressive teen. The 17-year-old continued to jump at Daniel with the knife between swings and was struck by the blunt end of the axe, resulting in a severe head injury. Daniel went back into the house, called the police, and waited for them to arrive. In 1991, he was convicted of a violent assault stemming from this incident. In 1995, the Court vacated the conviction, on the basis of ineffective assistance of counsel, because his defense attorney failed to pursue and present any of the strong evidence, including witnesses, that the assault was committed in self-defense. When Daniel was released in 1993, he immediately reconnected with his longtime friend, Larry Demery. Larry often stayed at Daniel’s mother’s home during that summer. However, during the years Daniel had been incarcerated, Larry had begun a life of crime resulting in charges of felony breaking and entering, larceny, and assault with a deadly weapon. It was this lifestyle that lead to Demery’s deadly encounter with the man who later was identified as James Jordan. After Green and Demery were arrested, law enforcement used the common tactic of threatening both with execution if they did not “tell the truth.” Both were given the “opportunity” to save themselves by turning on the other. It is clear from the beginning stages of both interrogations that Green and Demery had rehearsed a story about how they had come into possession of the Lexus and used the car phone. During the interrogations, their story was challenged and the threats intensified until Demery turned on Green and implicated him in the murder. Demery took a plea in return for his “truthful” testimony against Green. Interestingly, between the time Demery took the plea offer and his trial testimony, Demery changed his story regarding what happened that night, yet the plea offer stood. He testified that he and Green planned to rob the victim and that it was Green who fired the deadly shot. Daniel Green’s convictions were upheld by the North Carolina Court of Appeals in 1998, and North Carolina Supreme Court in 1999. The United States Supreme Court later denied review of the case. Daniel filed a pro se Motion for Appropriate Relief on May 5, 2000. He was appointed counsel, who did virtually nothing in the case for years and, in 2008, after Green filed a supplemental MAR, the attorney signed an affidavit that Green’s claims were meritless. The judge disagreed and found that the claims of ineffective assistance of counsel and nondisclosure of taped conversations of potential State’s witnesses deserved review, and new counsel. After extensive discovery, Daniel’s defense team filed additional supplements to Daniel’s pending post-conviction motion in 2015, 2016, and 2017. He is still waiting for a hearing and has not had the opportunity to present any evidence to the Court since he originally filed in 2000. Daniel Green asked for the Center’s representation in 2010. Because he had appointed counsel, the Center declined to look at his case. In 2016, the Center’s Executive Director, Chris Mumma, agreed to consult with Daniel’s longtime appointed counsel on the case for a specific issue. There were striking similarities between testimony in Daniel’s case regarding blood evidence and the blood evidence issues the Center discovered in the Greg Taylor exoneration case. Later that year, after reviewing additional evidence, Mumma became convinced that Daniel Green was not involved in the robbery or murder of James Jordan and, at Daniel’s request, the Center agreed to join as co-counsel. S.B.I. Agent Jennifer Elwell failed to disclose laboratory notes documenting negative confirmatory blood tests. Without supporting scientific results, she testified at trial that a substance from the vehicle was blood. Agent Elwell has conceded that she should not have testified that as she did, that in her opinion and based on forensic testing, blood was found on the interior of James Jordan’s Lexus. The second call made from Mr. Jordan’s car phone after the murder was to Hubert Larry Deese, a drug trafficker, the son of the Sheriff in charge of the Jordan murder investigation, and Demery’s previous co-worker. Deese was convicted of drug trafficking prior to the trial. While the State interviewed Mr. Deese, they either did not document this interview, or failed to provide this information to the defense. Because of the State’s failure to disclose the evidence establishing the relationship between Stone and Deese, Deese and drug trafficking, Deese and Demery, and Deese and the phone call, the trial court denied Green’s attorneys’ attempts to present their planned defense because it was based on conjecture. Joel Sexton completed the autopsy on the unidentified male found in the swamp, noting in his report that there was no hole in the shirt which corresponded with the bullet wound in the chest. After the unidentified remains were determined to be those of James Jordan, the North Carolina S.B.I. exhumed the clothing. The shirt was examined by Agent R. N. Marrs, who reported finding a bullet hole in the upper right section of the shirt, precisely where Dr. Sexton noted there was not a hole. The Center will link any updates to Daniel’s case here.